Gloves and bags from natural leather. «Shkirgalant» - is the biggest enterprise in Ukraine that has the specialization of sewing gloves and bags from natural leather. This enterprise is technological, professional and dynamic. 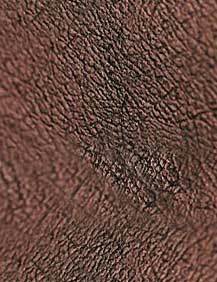 It professionally keeps a former brand and the traditions of Vinnitsa best masters of leather and haberdashery. A modern history of the enterprise began in 1997 when there was reorganization of the forms of ownership and «Shkirgalant» was founded. The factory is a direct descendant of the Soviet leader in this field. The factory could have kept and accumulated its achievement. Today 70 people work at the enterprise. They make 40000 pairs of gloves. And it is not at all the limitation. The number of 100000 and even more could be real. We need the increase of the sale for the development of the enterprise. It's an objective truth. The gloves of only the high quality could have success under the conditions of the open market. For this reason the management of the factory has the modernization of production and modern German sewing-looms were installed. We have the newest system of sale with the program of re-equipment. The basis of it is active methods of-advancement in the market, such as taking part in different fair-sales, the biggest and international exhibitions. Such policy allows us to grow a good name of the production of «Shkirgalant», to have perspective business contacts and to have a successful position on the post-Soviet market. Nowadays «Vinnitsa gloves» is increasing its rating on the outer markets. Our permanent importers are trade enterprises of Canada, Sweden, Germany and Russia. The producing assortment is more than 400 models of women's gloves, about 200 models of men's gloves and 50 models of sports and children's gloves. Our production experience has the distance of a half of the century, but «Shkirgalant» doesn't stop on its achievements. We are constantly taking parts in various contests, ratings and exhibition in this field, where we take prize-wining places. 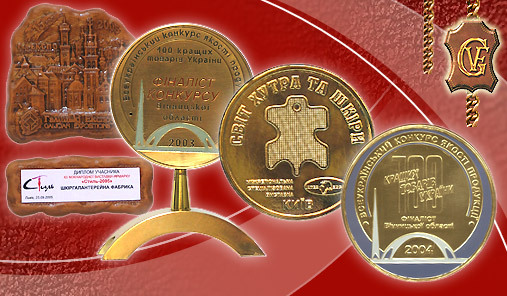 We became the winners of a prestige Ukrainian rating «100 best goods of Ukraine» in 2003 and 2004 and received the right to mark our production with a corresponding sign. The maximum of results in everything is the basis of our business philosophy. Welcome to mutually beneficial partnership! Copyright © 2005 Shkirgalant. Ukraine, Vinnitsa.